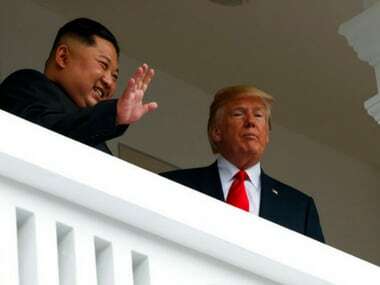 US President Donald Trump on Thursday tweeted a letter to him from North Korean leader Kim Jong-un heralding "epochal progress" in U.S.-North Korea relations, despite signs that path-finding diplomacy between the adversaries is running into problems. President Donald Trump challenged skeptical media coverage of his historic summit with North Korea's Kim Jong Un on Wednesday, declaring that "Fake News" is the nation's "biggest enemy." Trump, who quickly left for the long journey home after his whirlwind summit with Kim, made clear that his main interest — almost his sole interest — was taking a first step toward denuclearizing the Korean Peninsula. There was no lecturing of Kim over how to treat his own people in a nation that is estimated to have between 80,000 and 120,000 political prisoners and remains one of the world's most closed and oppressive societies. 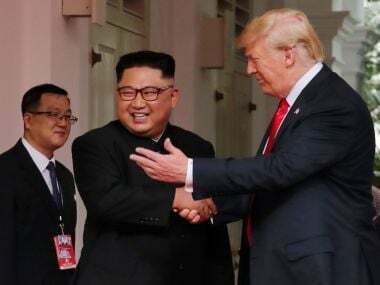 The eyes of the world upon them, US President Donald Trump and North Korean leader Kim Jong Un headed on Tuesday into their historic summit balancing the elusive promise of peace against the specter of a growing nuclear threat. 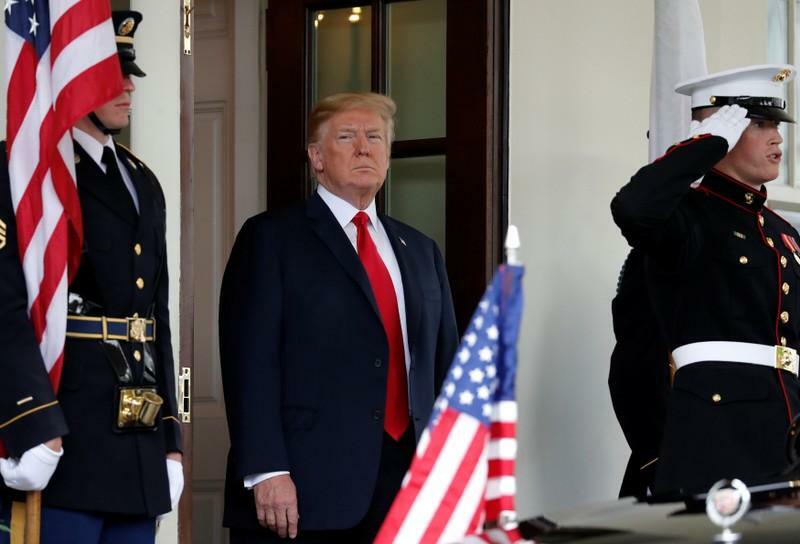 Yet even before they met, Trump announced plans to leave early, raising questions about whether his aspirations for an ambitious outcome had been scaled back. 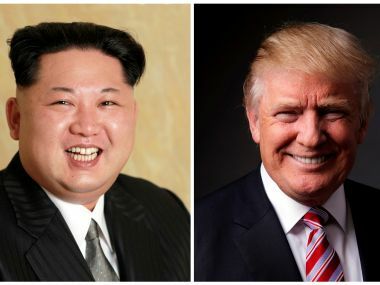 Donald Trump and Kim Jong-un summit in Singapore: What's the stuffing inside US-North Korea negotiation pie? While swooning anchors, harassed cameramen and the world’s leading foreign policy pundits scratching their heads about the historic Trump-Kim meeting pick Trump’s one liners to the bone, the meeting itself has gone from being about nukes to the political equivalent of a first date. And, nobody, except Donald Trump, knows what the negotiation pie is. 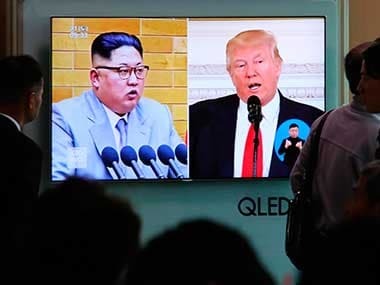 US President Donald Trump on Thursday held out the prospect of inviting North Korean leader Kim Jong Un to the White House if he deemed next week's summit a success while also signalling he was willing to walk away if he thought talks did not go well. 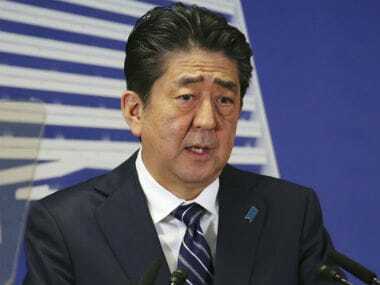 Japanese Prime Minister Shinzo Abe, unable to meet North Korea's leader himself, is heading to Washington to try to make sure President Donald Trump doesn't overlook Japan's security and other concerns at the unprecedented U.S.-North Korea summit next week. The White House says a location has been chosen for the Singapore summit between President Donald Trump and North Korean leader Kim Jong Un - Capella Hotel, a luxury resort on Sentosa Island. The White House says US President Donald Trump's meeting with North Korea's Kim Jong Un is set for 9 a.m. on 12 June in Singapore, which is 9 p.m. on June 11 on the U.S. East Coast. 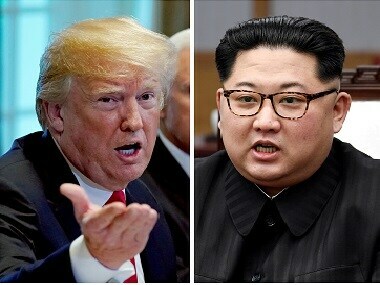 US President Donald Trump said on Friday a nuclear arms summit with North Korean leader Kim Jong Un that the United States pulled out of will now go ahead as scheduled on June 12 in Singapore, adding another twist to a high-stake diplomatic dance.